Existing completely under the critical radar and largely ignored or unknown by music fans and critics alike, most of the musicians featured in this album won't be familiar to even the most seasoned jazz aficionado. But in this era of musical apathy, where so many music junkies look to the past for their musical fix, we have re-discovered hidden, obscure and esoteric jazz musicians who looked to the four corners of the earth - and beyond - for inspiration. Here we evaluate Spiritual Jazz - music that is a snapshot of the era after Coltrane, a time which saw the evolution of an underground jazz that spoke about the reform of the soul, the reform of the spirit, and the reform of society: a music which was local and international at once, which was a personal journey and a political statement, and which was religious and secular in one non-contradictory breath. 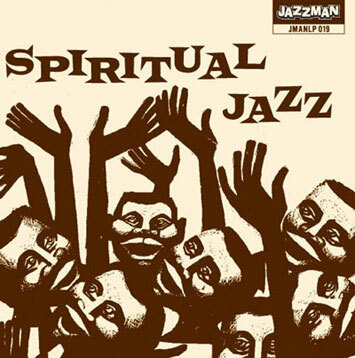 Soul Jazz - Black Jazz - Spiritual Jazz. • All tracks fully licensed and restored from original sources. The music on this album reflects the social and historical forces at work during the closedown of the '60s dream; music made by close-knit collectives and individual visionaries, by prisoners and eccentrics, by mystics and political radicals. It includes music by acknowledged masters, and moments of brilliance by unsung figures known to us from just one or two recordings. It is the jazz music of America in the age of civil rights, brutal repression, political assassination and war; a music that would guarantee the survival of the spiritual dimension in a society that was angry and traumatized, but nevertheless had seen hope of better days to come. Soul jazz; Black jazz; Spiritual jazz. Jazzman Records creates the finest, most comprehensive and exhaustively curated CD collections of Soul, Jazz and Funk in the world. No expense is spared in tracking down artists, producers and master tapes to provide the highest quality product that can be done. If you're into funk or soul music - you need it! But in this era of musical apathy, where so many jazz junkies look to the past for their musical fix, we have re-discovered hidden, obscure and esoteric jazz musicians who looked to the four corners of the earth - and beyond - for inspiration. Here we evaluate Spiritual Jazz - music that is a snapshot of the era after Coltrane, a time which saw the evolution of an underground jazz that spoke about the reform of the soul, the reform of the spirit, and the reform of society: a music which was local and international at once, which was a personal journey and a political statement, and which was religious and secular in one non-contradictory breath.